CAPE is honored to lead the testing efforts which help to better protect our brave men and women who serve and protect us. CAPE understands the need for confidentiality. 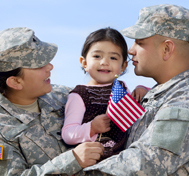 Our parent company, IMMI, invents and manufactures custom restraints for the men and women who serve our country. We know discretion is necessary to keep them safe, that’s why we strictly adhere to any and all military requirements for confidentiality. The military has trusted us for years to manufacture and validate many of their custom restraints. At CAPE and IMMI, we feel blessed to protect those who protect us. CAPE is well equipped to handle many of the military’s testing needs. Researchers seeking ways to mitigate the energy of an IED blast will find CAPE’s new drop tower capable of reproducing situations with impacts up to 350G and speeds up to 20 MPH using a seated ATD (test dummy). Like our previous tower, it can also conduct a variety of smaller component and helmet tests. In addition to mine blast simulation testing, CAPE can recreate other custom impact scenarios. For example, the drop tower can be used to evaluate the effects of a vertical impact force during a vehicle rollover using a fixture and the drop tower rather than dropping an entire vehicle. 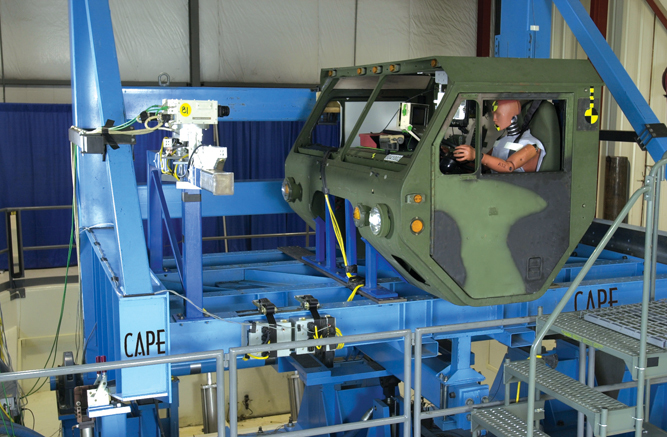 CAPE can test to a number of FMVSS, Mil Stds, and SAE standards.